Are Horses Livestock or Companion Animals? There are many reasons why horses should remain classified as livestock, including research funding. Are horses companion animals or livestock? Now that horses are no longer needed for transportation and farm work, they are often regarded as companion animals. But are they truly companion animals, in the same way, that dogs and cats are? A companion animal, as defined by the ASPCA is a "domesticated or domestic-bred animals whose physical, emotional, behavioral and social needs can be readily met as companions in the home, or in a close daily relationship with humans." legal definition of all domesticated equines to remain as livestock and opposes the current social trend of referring to them as pets or companion animals.” This is a stance taken by many similar associations in the United States and Canada. That horses are livestock is a stand taken by the American Veterinary Medical Association, National Animal Identification Act, American Horse Council, and many others. What difference does it make to the average horse owner if horses were legally regarded as companion animals and not livestock? Many horse lovers believe that designating horses as companion animals rather than livestock would guarantee no horse would be sent to slaughter. However, as it turns out, the benefits of keeping horses as livestock rather than companion animals may be greater than the disadvantages, including the potential of a horse becoming part of the food chain. Some of the benefits have to do with farm tax exemptions many horse owners can take advantage of. Those who make their living as trainers, breeders, dealers and running boarding stables and schools may lose the benefit of being an agricultural endeavor if a horse were regarded solely as a companion animal. 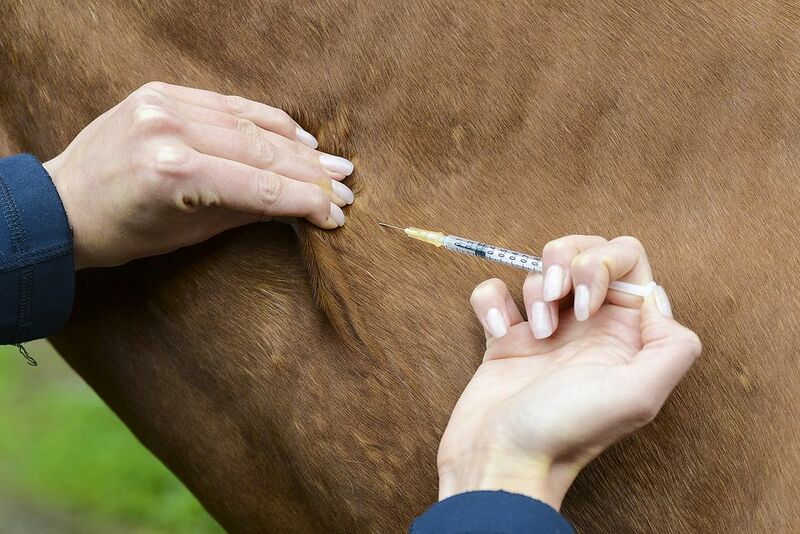 A good deal of research into equine diseases, vaccines and husbandry is government funded. A change from livestock to companion animal could jeopardize this funding as research into similar issues pertaining to companion animals is largely privately funded. Husbandry and humane treatment laws might not apply if horses were designated companion animals. Because some states have somewhat complicated laws regarding the conditions companion animals can live in, horses too might come under these laws—many of which would be difficult to fulfill when keeping a horse. These laws are good for the animals they were intended to protect, but horse owners might find it onerous to comply, or laws would have to be created or re-written to accommodate horse keeping. This, of course, would require time and expense. Also affected would include anti-cruelty laws, which may no longer protect horses as current livestock law now does. But, treatment and maintenance of horses are not the only issues at risk by regarding horses as companion animals. Many states are passing limited liability laws, which protect livestock owners and livestock event organizers (like cattle and horse shows) from lawsuits from anyone who is injured by a potentially large and dangerous animal such as a cattle-beast or horse. So while it may seem like we are protecting our horses by calling them companion animals, the opposite may be true. Considering that most of us do regard our horses not just as companions, but family members, our ultimate goal should be the best possible care, in addition to protecting ourselves. At this time, that 'best' includes a designation of livestock.